Cherokee Greywolf 26CKSE Travel Trailers: Big Savings! 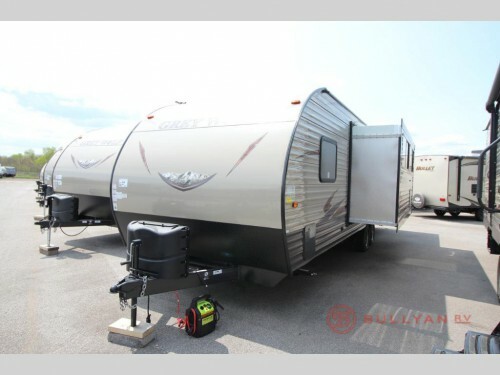 Save big on our Cherokee Greywolf 26CKSE Travel Trailers! Tthis Cherokee Greywolf comes with a Superslide-out giving you that extra room you need for a large group. This large slide will have a booth dinette and sofa with a hidden bunk above, so it will not only be the perfect place to view the TV but will also add more sleeping space. 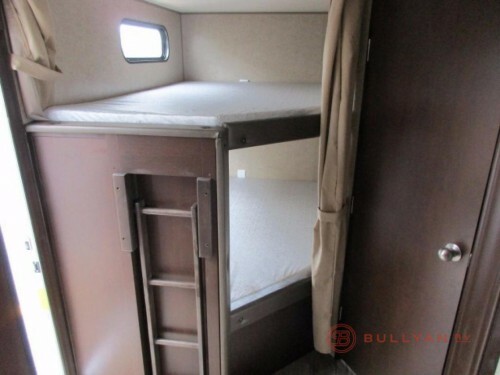 Speaking of sleeping space, you’ll love the set of double bed bunks! Bring more people along with the double bunk beds. 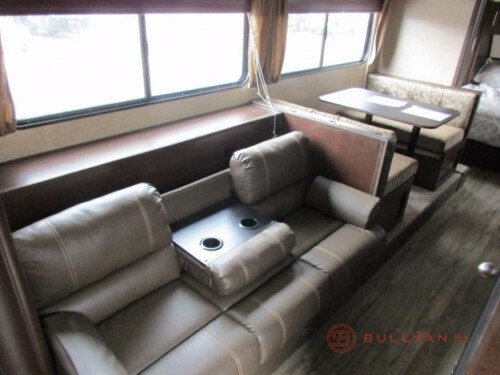 Inside this Greywolf travel trailer, you will have all of the necessities of home to ensure your comfort. The full kitchen will feature every appliance needed to properly cook and store your meals during your stay, and with a large walk-in pantry, you will have more storage space than ever. You will also have a full bathroom to take care of every need while at the campground. Find a spacious main area with the single slide located here. Each night, you can lie back and relax on the queen master bed, and with the privacy curtain included, enjoy the quiet space you need to recuperate at the end of the day. Plus, with dual wardrobes located here, you will have more room for all of your belongings and to keep them organized during any length of stay. Get all of this and more in our Cherokee Greywolf 26CKSE travel trailers, and right now you can enjoy a savings of over $9,000 to take one home today! So hurry up and contact us or come by our location before these amazing deals are gone!